51500-RB is rated 1.0 out of 5 by 1. This 24 in stand-alone slide bar features an adjustable slide mechanism for easy operation. 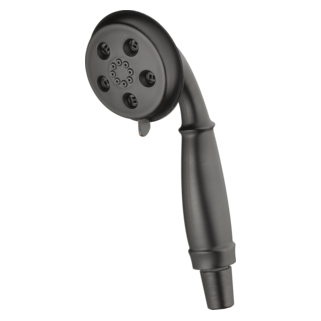 The handshower mount can be moved up or down the 24 in. bar, making it the perfect shower accessory for families. 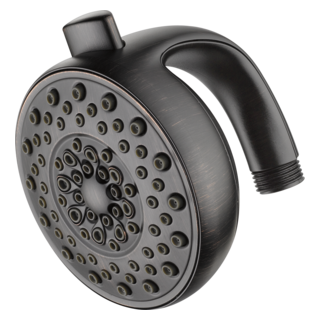 The angular modern design allows you to match style and functionality with any contemporary Delta hand shower. You can install with confidence knowing that Delta backs this adjustable slide bar with a lifetime limited warranty. 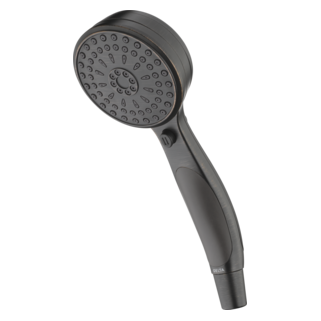 Rated 1 out of 5 by jack from shower hear mount does not tilt You expect a hand-held shower head to tilt forward and back to change the angle of the water spray. This mount tilts side to side with the water only spraying straight out. Because the bar is rectangle, the mount will only attach one way and it is not what is show in the picture. This is a bad design. I am going to install a Delta 51500SS, adjustableslide bar / grab assembly. I Also need to install a L-shaped &nbsp;ADA grab bar and a straight line grab bar. I would like for these to match. What do you recommend? 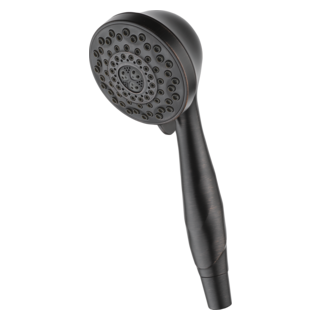 Can you please let me know when this item (Universal ShoweringH2Okinetic&reg; 4-Setting Hand Shower Model: 59552-PK) will be available? I am planning a bathroom remodel and want to know if this will be available to meet my timeline. Thank you. Grab bar slide bar 51500 on your web site it shows the hand shower handle piece with the handle facing out straight - the installation instructions show it off to the left or the right - dont face right. Doesn't clamp on when it is facing towards you . 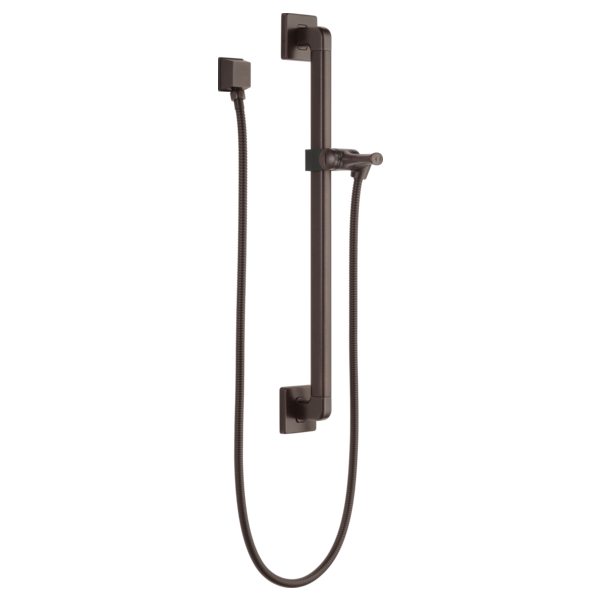 &nbsp;After installing, we realized that the shower head does not tilt up and down - there is no ability to adjust the direction of the water, only the height. &nbsp;Is there a part we can purchase that will permit adjustment of direction? How do you get instructions on installation of the 51500 Slide/Grab Bar to meet ADA requirements? I did not see those instructions included with the product or on line with product information. 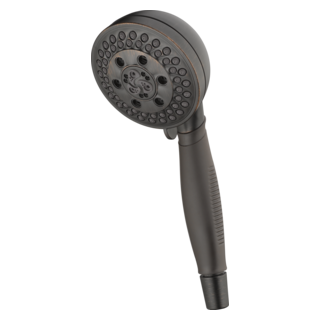 does the shower head connection swivel?